Soar from tree to tree in Northern California's Redwood Forest! 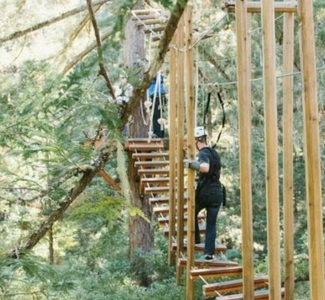 Sonoma Canopy Tours offer two-and-a-half hour guided tours through two unique courses that include zip lines, sky bridges, a majestic spiral staircase and a rappel to the forest floor. "Zip the Redwoods!"